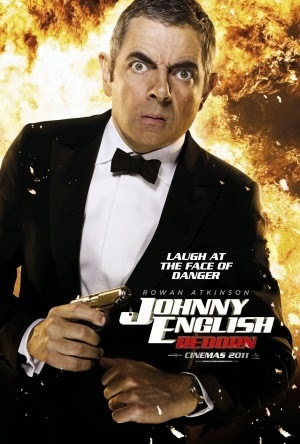 Though it was never seen in the same limelight from critics perspectives, the original 2003 Johnny English appears to have established somewhat of a fanbase; and now, eight years on, this sporadic 2011 sequel once again starring Rowan Atkinson is surely a treat for said fans, despite its identical critical mauling. Once again parodying the acclaimed James Bond-esque spy genre, the film follows a disgraced Johnny English (Atkinson) who returns to his position at MI7 when a group of assassins dubbed 'Vortex' formulate a plot to murder the Chinese premier; of course, our titular character's prime idiocy makes this no easy feat, resulting in mish mash of slapstick chaos as we go from one lead to the next. Though humorous, there's a distinct lack of, shall we say, 'wit' in many of the jokes; the film relies heavily on daft slapstick humour, which in fairness still conjures a lot of laughs, but eventually dissolves into mundane repetition. It's certainly funny and exceedingly amusing but at the end of the day there's not a lot of intelligence behind the comedy, making for a film that provides a lot of entertainment but at the same time feels a bit shallow. A pretty forgettable cast of characters also downgrades the level of humour throughout; aside from Johnny English himself, pretty much none of characters provide any sort of comic or emotional engagement. The story is riddled with clichés and is certainly nothing to write home about, but at the end of the day, it's not unreasonable to say it does conjoin nicely with the tone of the film, and simply allows all this spy craziness to take place realistically. Johnny English Reborn is not a bad film, far from it actually; it's really funny sometimes, and consistently entertaining at best. But it's mindless entertainment, with not much wit behind the jokes and little else to offer. The characters aren't truly amusing, save for the titular one and perhaps his sidekick, and it just isn't very stimulating at times. Fans of the original will lap it up, but for those who aren't interested, there's no point.